1UP recently compiled a list of 25 of the best boss fights ever. reporting on it. There are so many games and bosses to choose from. Which of the boss fights made it in? You may (or may not) be surprised. Yes that is correct. 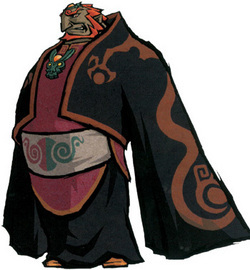 The boss battle that made the list is the Ganondorf battle from Windwaker. The list notes the puppet battle, and then the climb up the tower to where the epic final sword battle begins. It mentions that Zelda is usually useless but actually helps in this fight, and that ending the fight with the sword stuck into Ganondorf’s head was pretty cool. Of all the boss battles to choose from WW Ganondorf gets the spot? In my opinion the battle with Majora’s Mask was better, and with Fierce Deity’s mask it is amazingly fun (albeit easy though). Not to take away from this boss fight. I, myself, had a lot of fun fighting WW Ganondorf as well.